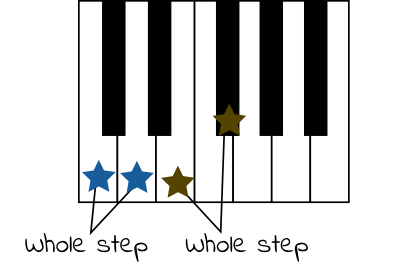 The following items are divided into three sections: Proficiency with the Elements of Historical Music (all of which we expect musicians of high prowess to possess), In-Depth Understanding of Historical Music (of which we expect musicians of high prowess to possess many), and Areas of Individual Expertise (of which we expect musicians of high prowess to possess only a few). Proficiency with the Elements of Historical Music: A musician with high prowess will be competent in all of the following skills/knowledge areas for each category. Describe several major social/economic events and philosophical movements that impacted the composition and performance of music before 1600. 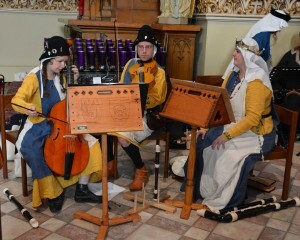 Categorize musical instruments by primary material and/or method of sound production. Read modern Western musical notation fluently. When a culture lacks extant musical scores, propose possible characteristics of that culture’s historical music by extrapolating from contemporary descriptions in historical documents or art, characteristics of later music from that culture, and extant period music from surrounding cultures. 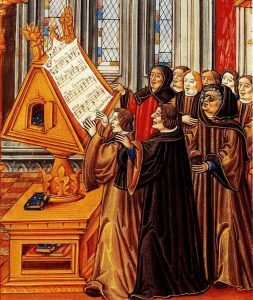 Define frequently encountered medieval and Renaissance music concepts, for example: musica ficta, church modes, text painting, imitation, Guidonian hand, Picardy third, parallel fifths/octaves, counterpoint, etc. Allow these concepts to inform performance. Sightread easy- to medium-level pieces with enough fluency to play with others in spontaneous pickup groups. Examples of repertoire in this category include most pieces from the Pennsic Pile or The Recorder Consort (volumes 1-4) by Steve Rosenberg. Experiment with period performance practice. 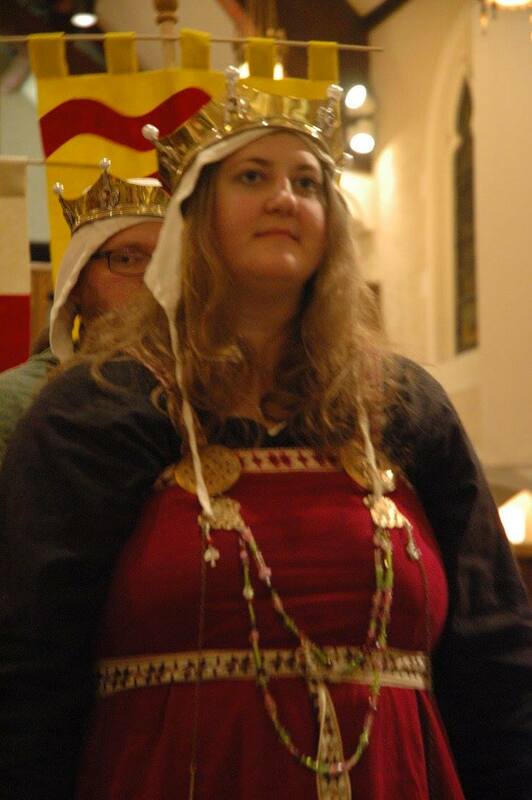 Examples (as appropriate to era, place, instrument, and social context) include memorization, reading from historical notation, ornamentation, articulation, etc. For vocalists, additional examples include historical pronunciation and use of primarily straight tone (with vibrato for ornamentation). When performing pieces with lyrics, pronounce common languages (e.g., Italian, Latin, French, German, Spanish) with correct modern pronunciation. Lead a group in 10-15 minutes of warm-ups that successfully prepare voices/instruments for activity throughout their full ranges. Find or create exercises to help the ensemble work on common challenges, such as intonation and blend. 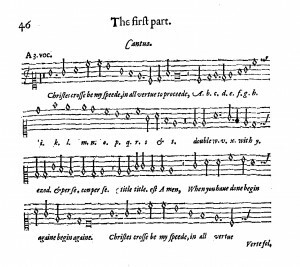 Find scores for pieces from almost any musical style from before 1600. Demonstrate familiarity with several online sources of repertoire, as well as printed collections. Locate facsimiles of period scores from common online sources (DIAMM, IMSLP, Bavarian State Library, etc.). Refer to facsimile when developing a performance, especially for text underlay. Facsimile of Christes Cross melody. At St. Cecilia this year, my friend, Master Christian, gave me some sheet music he believed I’d be interested in. 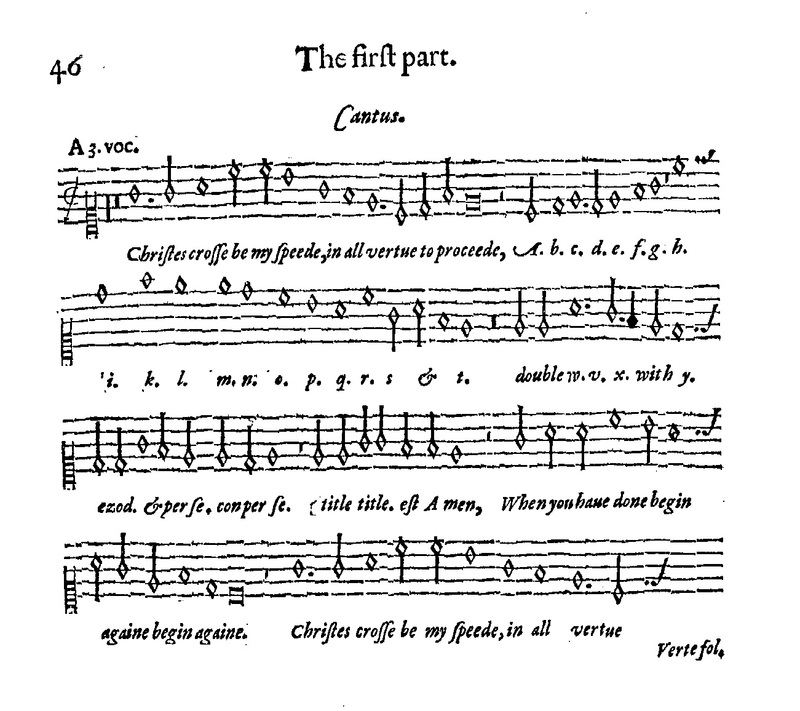 It was a three part piece by Thomas Morley, from his book, A Plain and Easy Introduction to Practical Music. Basically, Morley used the ABC song of the time to demonstrate counterpoint. The top-line contains the melody; the bottom two lines are the counterpoint that Morley composed. 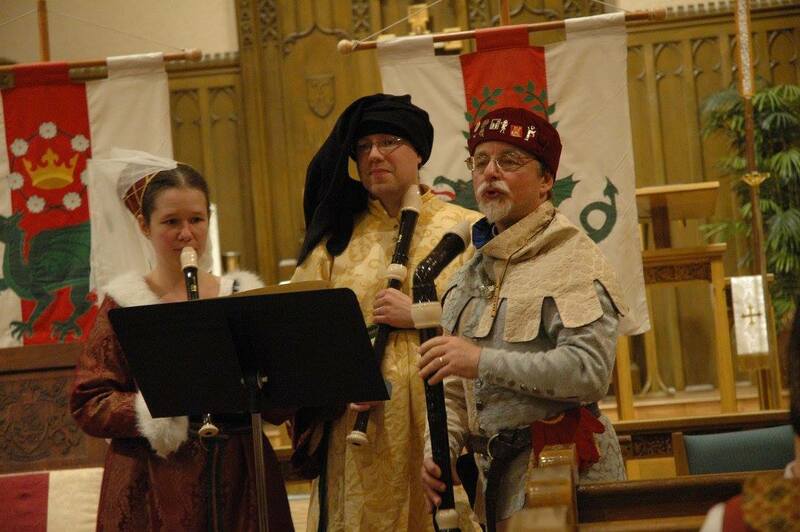 Of course, I’ve been singing the Christes Crosse to Martin ever since. 😛 I will win the Internet when he can sing it. Fun fact: it doesn’t have the letters J or U since I and J were and interchangeable as were U and V.
Also interesting, it has a range of an Octave and a fourth, which is pretty wide. 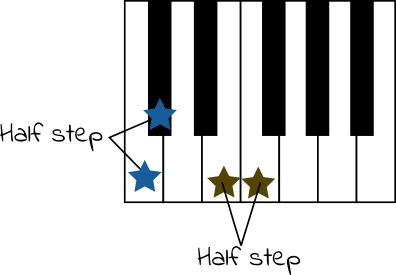 Today’s ABC song (Twinkle Twinkle) has a range of a sixth. I know it should be “when you have done” not “when you are done”. I realized my mistake way too far in the process, and would have had to redo everything to fix it. So… no. If there’s interest, I could be convinced to record Morley’s first variation.